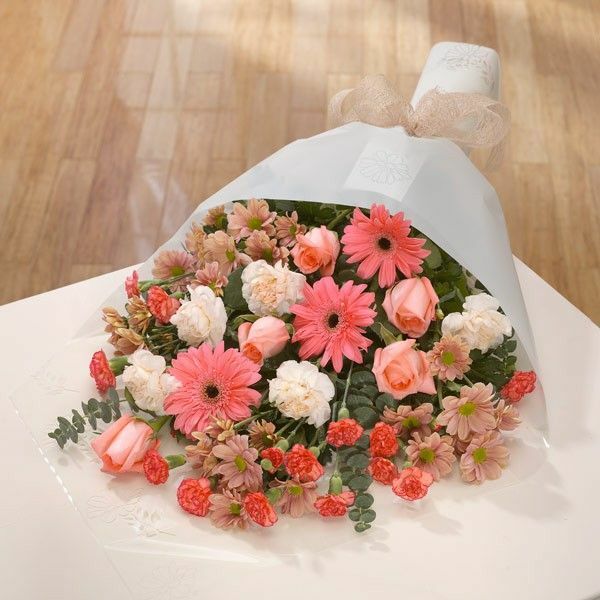 Peach Gerbera stand out in this bouquet closely followed by Roses and all backed up by Carnations and muted Chrysanthemums. This traditional gift-wrapped bouquet arrives beautifully dressed luxury cellophane and a co-ordinating bow. An ideal gift for those who enjoy arranging flowers in a vase of their choosing.